7PM, Sat. May 18th, 2019 Sat. 12300 South Las Vegas Blvd. Featuring Jamie Goetz as Sinatra! In Australia! Over 30 dates! Venues and times coming soon. Playing on the same stage as Jay Leno, Toni Braxton, Three Dog Night, and Dwight Yoakam!!! Click the poster for tickets! OVER $80,000 GROSS, $43,000 NET RAISED FOR CHARITY!! BIGGEST Crowd In History of Festival! SOLD OUT! OVER 1,200 ATTENDED! SOLD OUT IN 10 DAYS!!! SOLD OUT! OVER 1,000 ATTENDED! SOLD OUT! OVER 2,000 PRESENT! 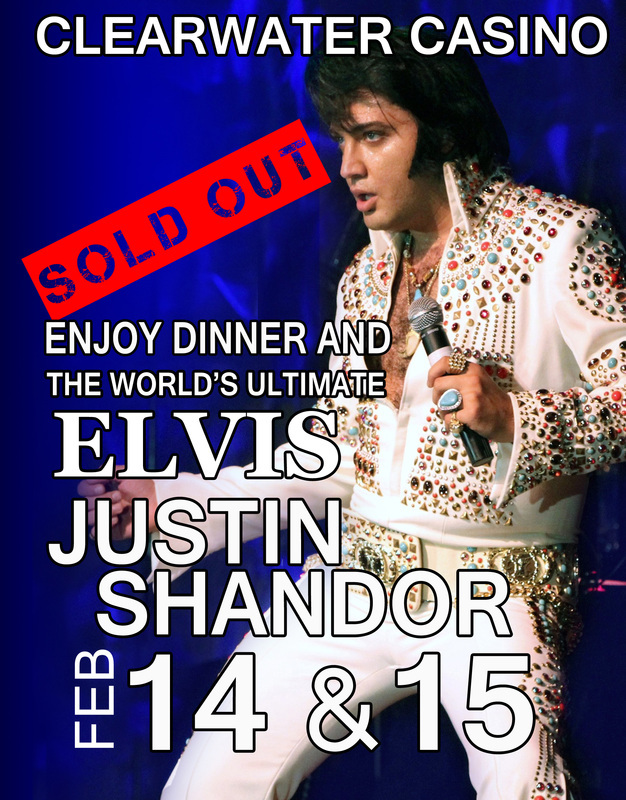 Feb 14th, 15th - Clearwater River Casino, Lewiston, ID. Over 1000 people in attendance, Friday and Saturday. 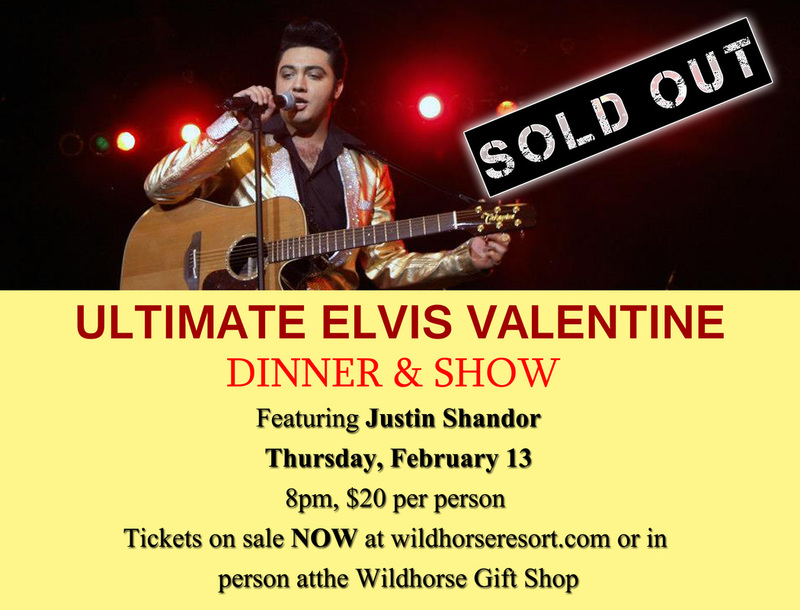 SOLD OUT both nights! Featuring Jamie Goetz as Frank Sinatra! Elvis Meet the Legends 2018! SOLD OUT IN 2 HOURS!!! Jan. 27, 2018 Open to the Public! SOLD OUT IN 2 DAYS!!! Featuring Danny Fender on guitar! 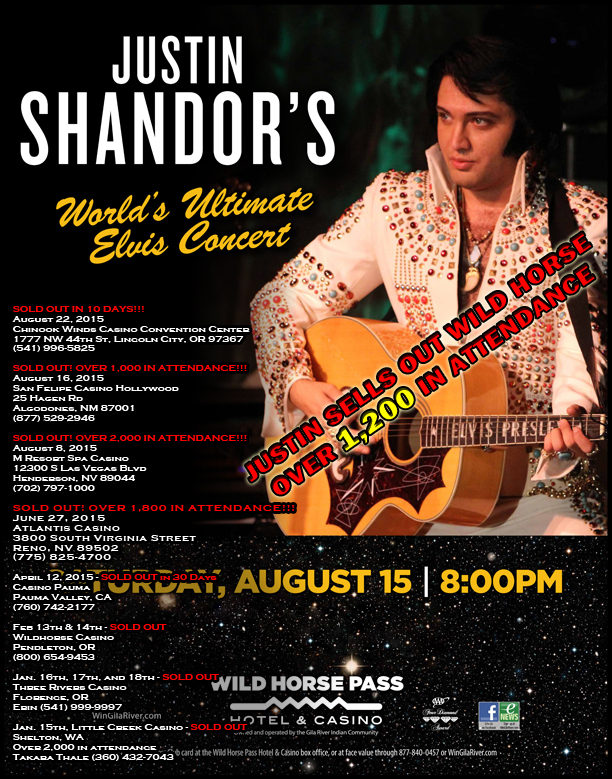 Elvis' Greatest Hits by Justin Shandor! & Johnny Edwards as Dean Martin! With the World Famous Legends in Concert! ​A benefit for "Are You Dense"
Starring Derek Spence, the World's Closest George Strait Look- and Sound-alike! 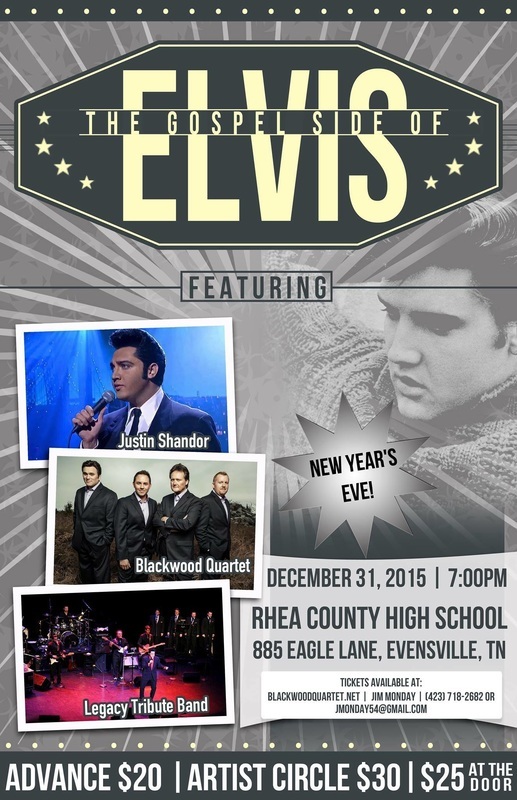 Starring Movie Star Ryan Pelton as Elvis!